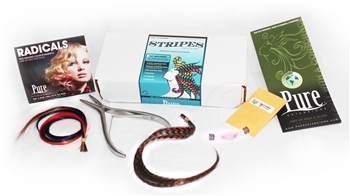 Inspired by the feather extension trend, we have designed an animal friendly alternative. 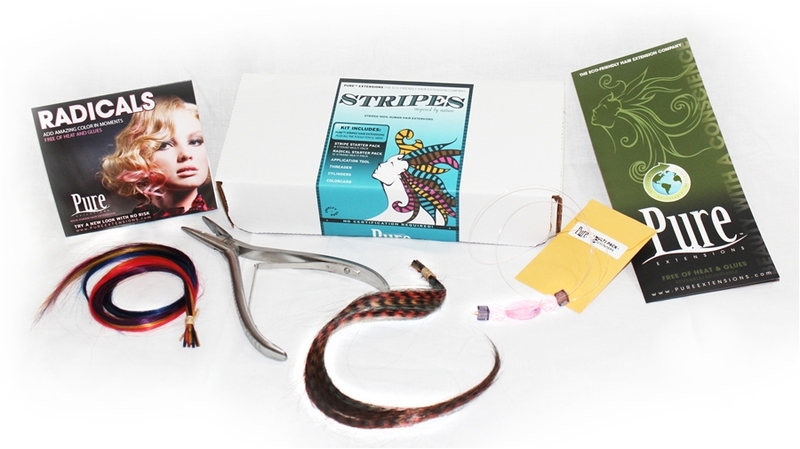 Stripes are 100% human hair, dyed to reflect nature�s patterns and allow you to take your creativity to the next level. Stripes are unified in length and density of pattern so you can cut and blend them as desired. Get the looks you want without the hassel! NO CERTIFICATION REQUIRED!